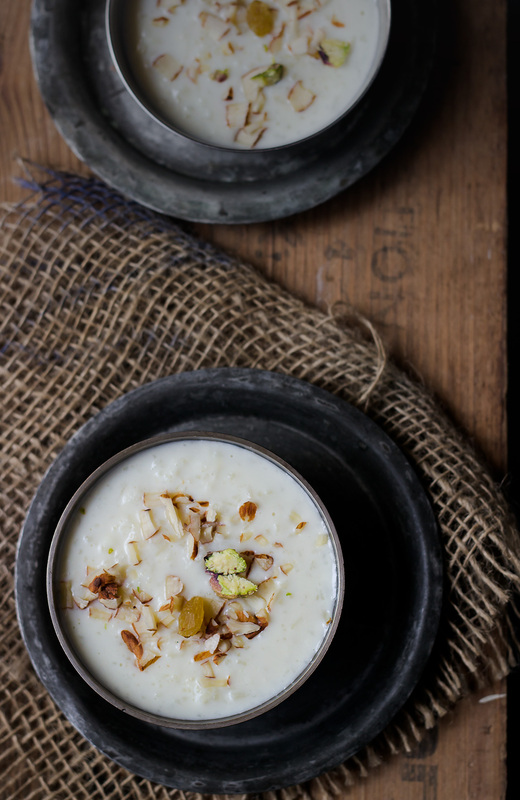 We all have various techniques to make rice kheer or rice pudding, a staple Indian dessert. Some use small or broken rice, some use regular rice but grind it coarsely in mixer, some par boil the rice first and then add to boiled milk and many more other ways of cooking. What I am presenting here today is not the technique but the emphasis is purely on the proportion of rice to milk. It is a fool proof recipe irrespective of what rice you use. You do not need to boil it, you do not need to grind it. All you need to do it is put rice and milk on slow flame and forget about it, except for stirring in between. You just need patience and about 40-45 minutes of time. You can be doing various other chores while the kheer cooks silently on the smallest burner. A small little corner is all you need on your cooktop for the rice to cook. And trust me, I have served this kheer at many parties, taught this proportion to many and all have loved it.